Item # 319044 Stash Points: 3,800 (?) This is the number of points you get in The Zumiez Stash for purchasing this item. Stash points are redeemable for exclusive rewards only available to Zumiez Stash members. To redeem your points check out the rewards catalog on thestash.zumiez.com. Skate like the European speed demon himself with Hijalte Halberg's signature Formula Four Cinder Lock-Ins 53mm 99a Skateboard Wheels. These pro model wheels offer an asymmetrical design that has been proven to help you lock into grinds easier and smoother. 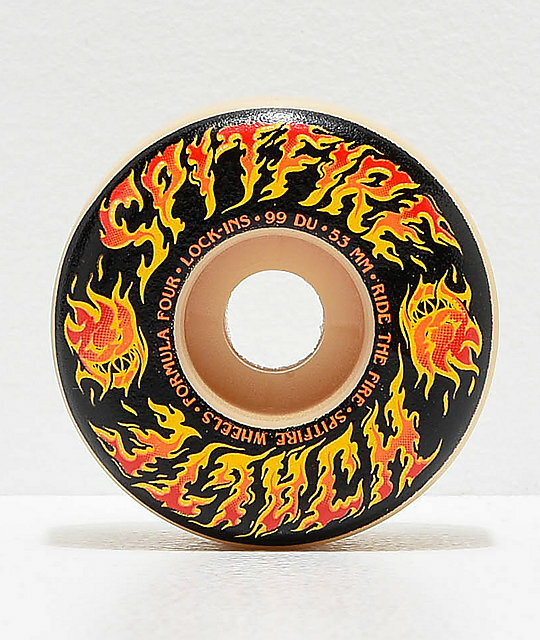 Formula Four Hijalte Cinder Lock-Ins 53mm 99a Skateboard Wheels by Spitfire. 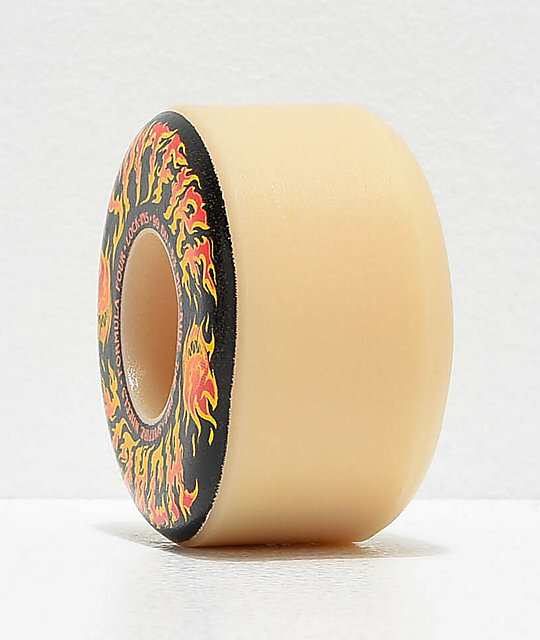 Signature Hijalte Halberg pro model wheels. 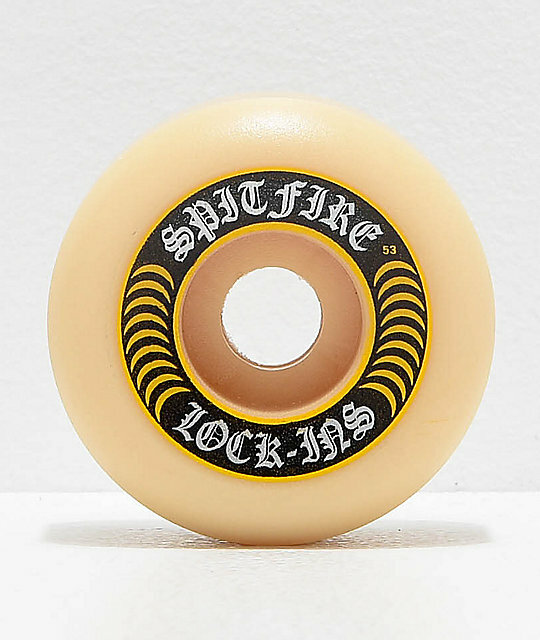 Spitfire's Lock-Ins wheel shape, asymmetrical design featuring a conical cut profile opposite of a straight edge.